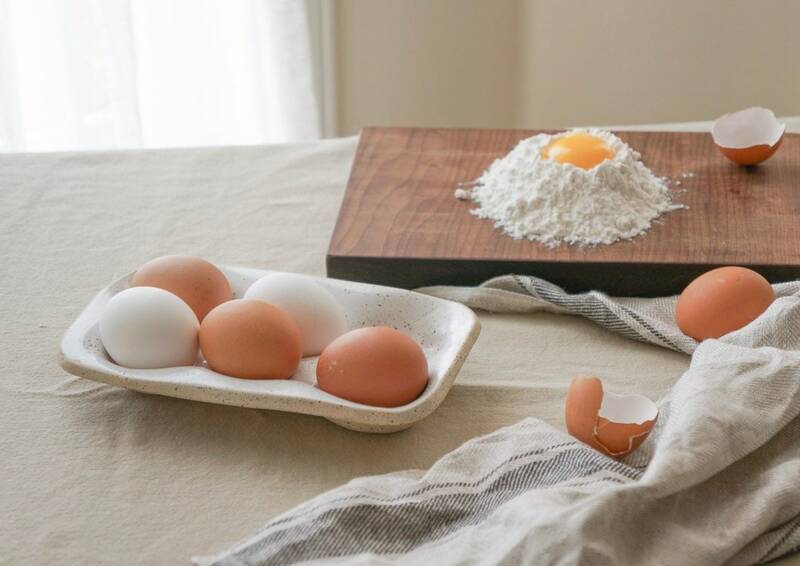 Egg Nest is a versatile stoneware egg holder which is an essential tool for any gourmet kitchen. 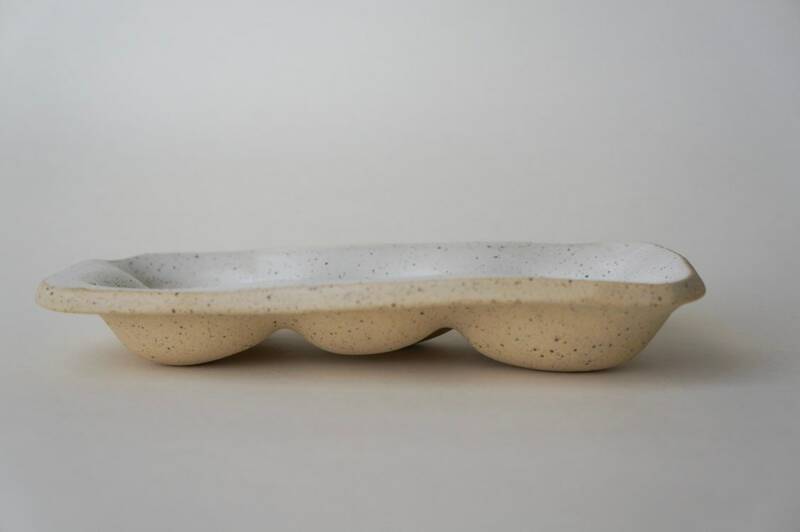 Perfect egg tray to keep your eggs in the fridge or to serve your boiled eggs / devilled eggs. 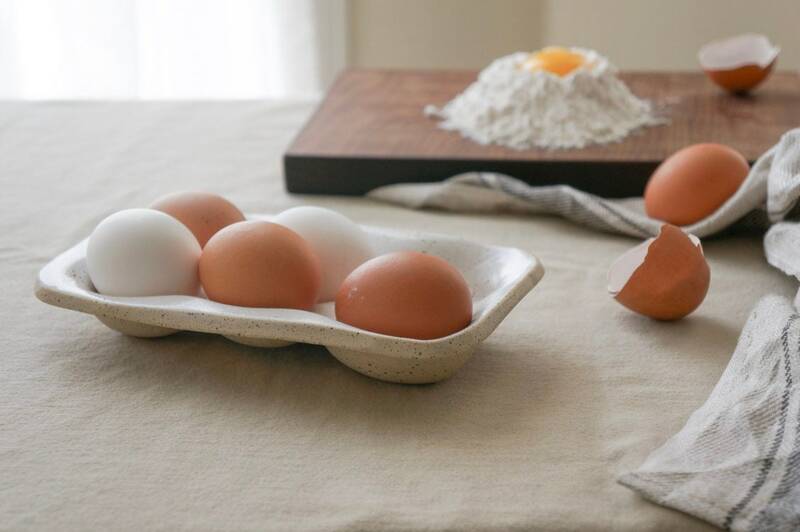 Egg Nest can be warmed in the oven to keep your boiled eggs nice and warm at the table. 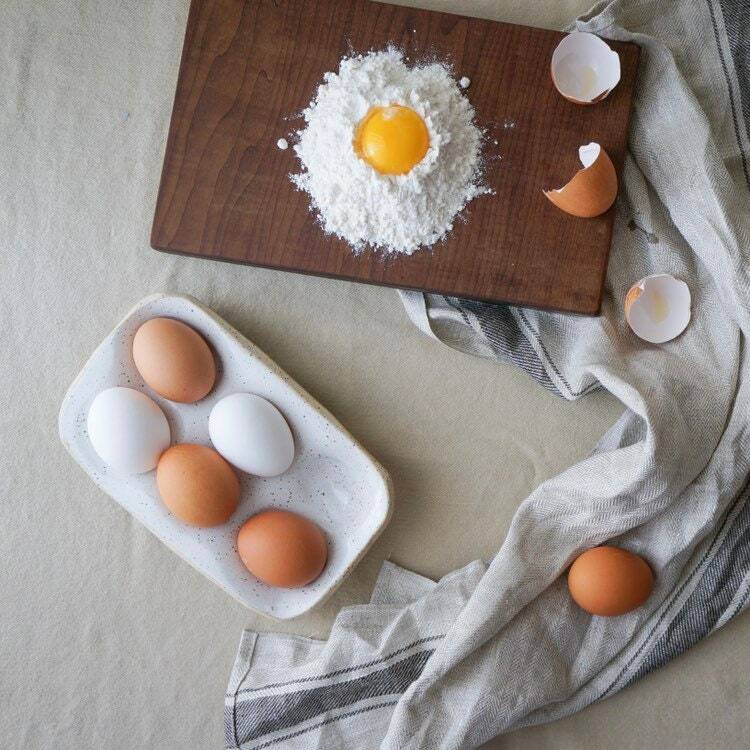 It can also be cooled in freezer to keep raw eggs fresh while you prep for baking. 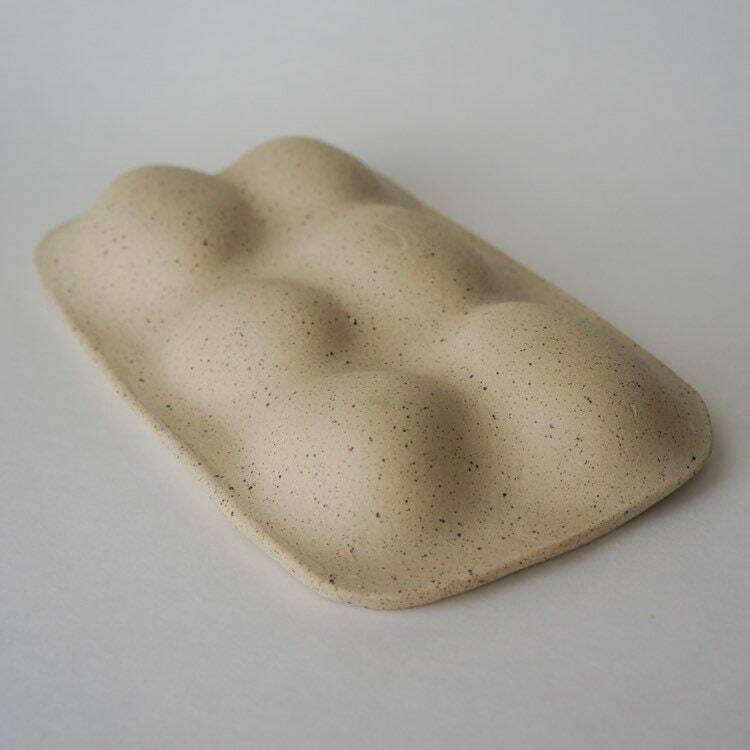 Handmade with sheets of durable speckled stoneware in Canada. 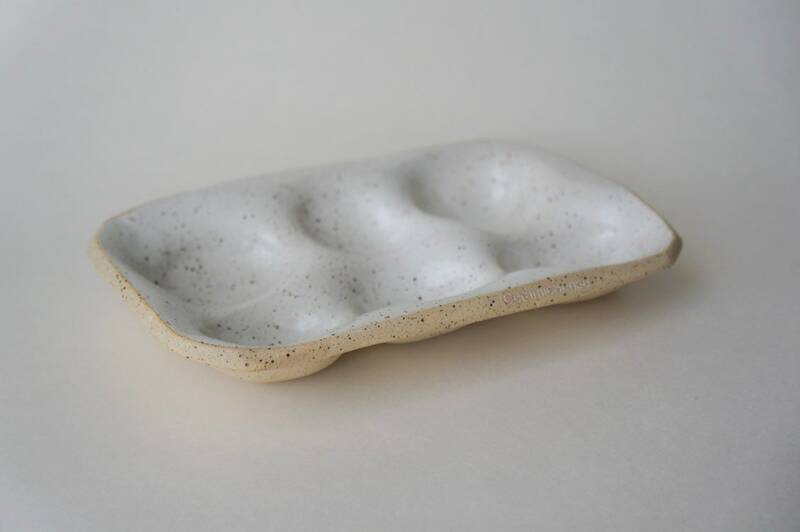 Dipped into stain white glaze that shows the natural speckles of the clay. If you wish to order a different size please message me here on Etsy and I will do my best to meet your needs.